Is it easy to do business with your organization? Do your employees feel empowered to meet your customer’s needs? These are questions that you’re probably grappling with as you face a perpetually changing business environment. You strive for operational excellence and need ways to effectively acquire and retain new customers. You also need to reinvent your business operations to foster growth. 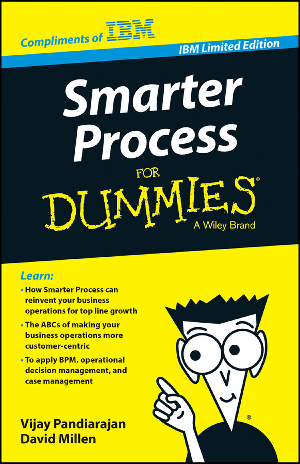 Smarter Process is a way for you to work smarter as you find your way through all the operational challenges that the current business climate throws at you. It helps you use mobile, analytics, and collaboration to empower your employees to do their best work. It also empowers you as a leader to find the right tools and solutions.